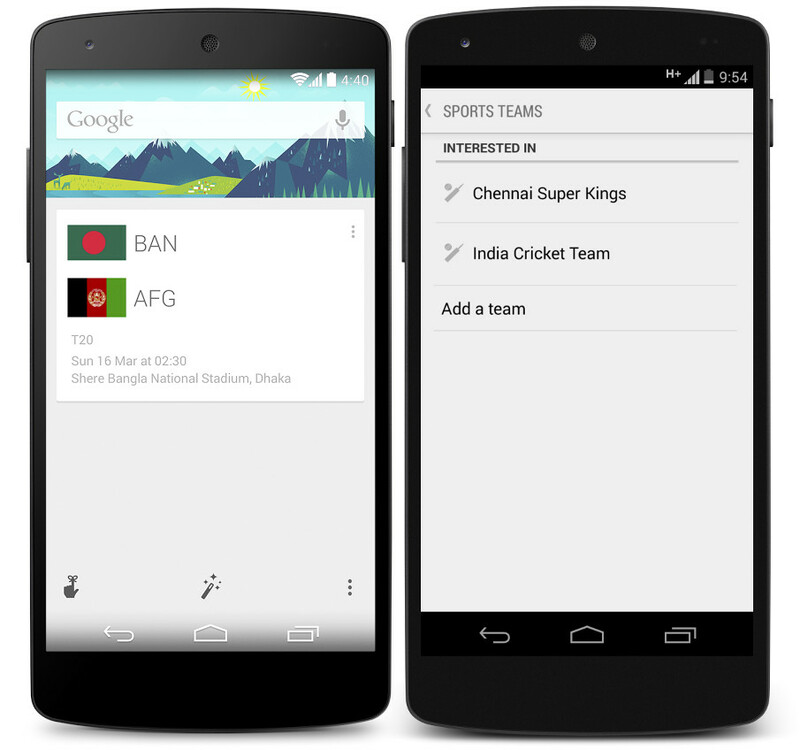 Google has updates its Google Search for Android to v3.3.11 that brings support for cricket, that lets you get live updates of your favorite teams. For this you just need to add your team to the Sports Team list that you want to follow and it gives you all the live updates and also the upcoming fixtures o the teams that you have added. This list contains IPL teams also along with many international teams that play cricket. The Scorecard of the team that you have searched for are also displayed, not only cricket but also displays scorecard of you favourite sport that you want to follow, be it NBA, Soccer, Badminton or any other sport. Apart from sports it also supports for company stocks, when you click on a company stock it will show an expanded view with all the information of that particular stock. You can also ask Google for the latest scores on your mobile devices and on desktop. We can also get latest live results or scorecard even after the match is completed. This update also adds traffic incident reports on your route so that you can plan accordingly and change your route. Many other new features are also added to this update. The Ok Google hotword was added for German and French also. This update from Google will definitely please many cricket lovers especially in India, since many of the followers of cricket game are from India. This update for cricket is like blessing coming just before the start of the T20 World cup. This update has already started rolling out and will be compatible with devices running Android 4.1 Jelly Bean Operating System or later. Stay tuned for more information and updates.